Sony has been ahead of the curve for a long time and now everyone is trying to come after their market share. 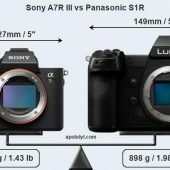 I don’t know if the Panasonic S1R/S1 will be tempting enough, but Apotelyt had put together their comparisons. Now that the Panasonic S1R and Panasonic S1 are in their comparison tool you can see how things stack up on your own. You can follow it’s launch at 43addict if you’re interested. The official announcement is expected within the next 24 hours. 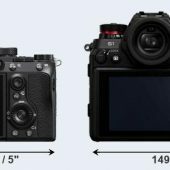 More compact: Is smaller (127x96mm vs 149x110mm) and thus needs less room in the bag. Less heavy: Is lighter (by 248g or 28 percent) and hence easier to carry around. 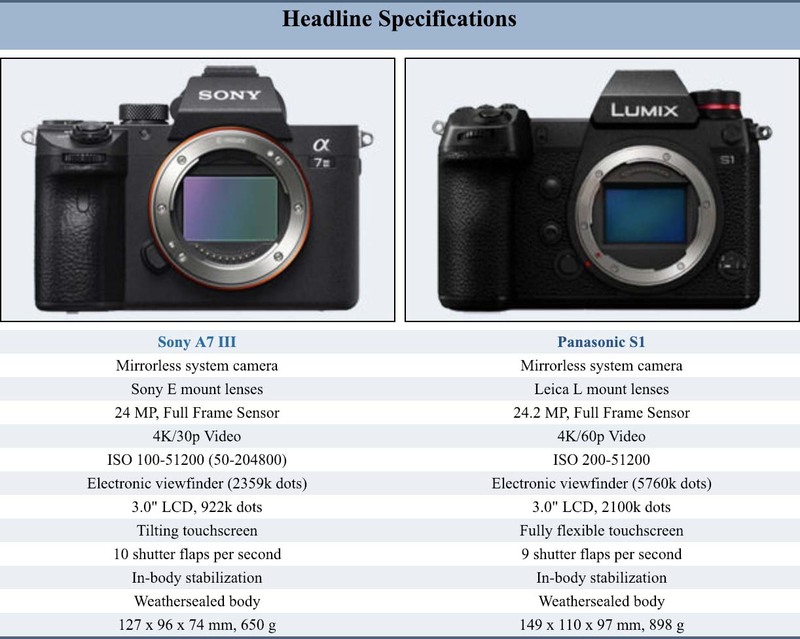 More detail: Has more megapixels (47.3 vs 42.2MP), which boosts linear resolution by 6%. 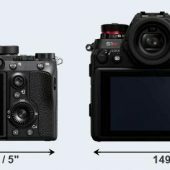 More detailed viewfinder: Has higher resolution electronic viewfinder (5760k vs 3686k dots). More detailed LCD: Has a higher resolution rear screen (2100k vs 1440k dots). Comparing the Sony a7III and Panasonic S1 is also very interesting. I can’t wait to see Sony’s 5760k EVF on a future Sony camera like the Sony a7SIII or upcoming professional APS-C camera. 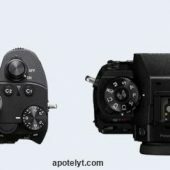 More detailed viewfinder: Has higher resolution electronic viewfinder (5760k vs 2359k dots). More detailed LCD: Has a higher resolution rear screen (2100k vs 922k dots). 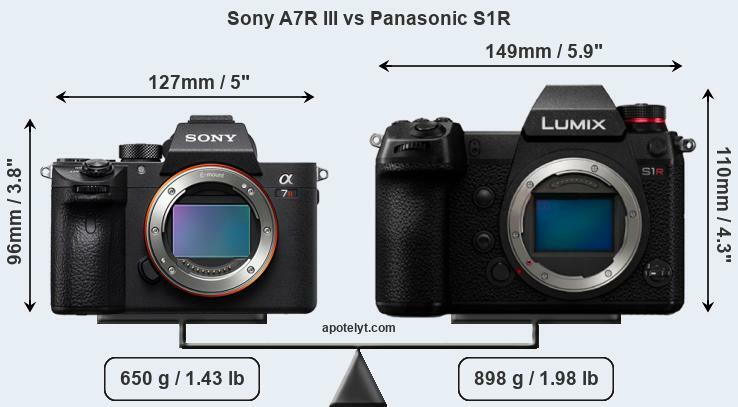 This entry was posted in Sony a7III, Sony a7RIII and tagged LUMIX S1, LUMIX S1R, Panasonic LUMIX S1, Panasonic LUMIX S1R, Panasonic S1, Panasonic S1R. Bookmark the permalink. Trackbacks are closed, but you can post a comment.